A coach for high-demand professionals, Casey Dixon went on a search for methods to use for her practice and found mindfulness. 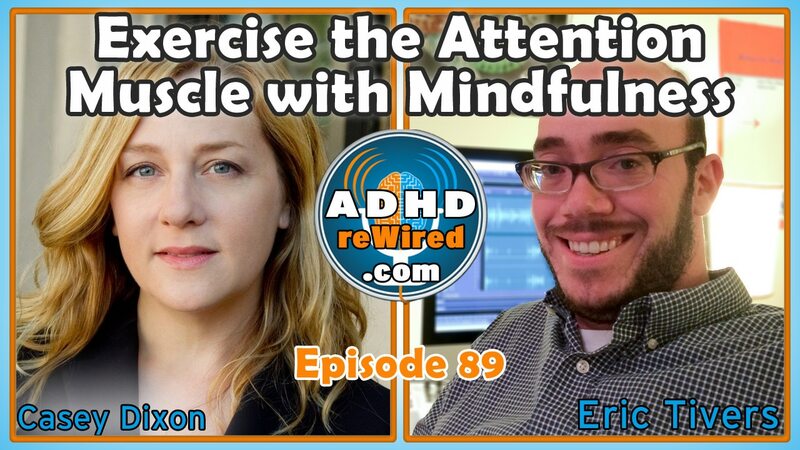 Discussing her winding path from college to head of a school and later to her coaching practice, Casey talks of the substantial differences the practice of mindfulness can make to those with ADHD. 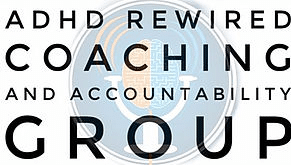 Casey is an ADHD coach specializing in coaching high-demand professionals, such as lawyers and professors, and college students oriented in that direction. Mindfully ADD, Casey’s new website, is designed to help adults with ADHD build good habits of mindfulness. Back in college, it took Casey around seven years to earn her undergraduate degree; prior to that she had jumped around a lot, majoring in art, philosophy, geology, and sociology, becoming interested in how the brain works, logic, and linguistics. Casey originally worked in a small private school, both as an art teacher and tutoring students with learning disabilities and ADHD. Later, she would become the acting head of the school. With the change from practitioner to administrator, came anxiety. Casey sought the help of a professional coach. The coach told Casey that some sort change in her life was necessary in order for her to feel good and move forward. Over the past decade of coaching those with ADHD, Casey has sought out any functional methods or practices that would improve and enhance the treatment of her clients. She regularly ran into dubious methods with little to no concrete research to back them up. Finding that mindfulness seemed to be both effective and relatively accessible to the average client, Casey reached out to a local group, Kinder Associates, who work with schools to teach mindfulness, meditation, and yoga to children and adults struggling with executive functioning-related issues. Practicing yoga for about the past 25 years, Casey became familiar with its mindfulness-based exercises and used that knowledge to lead her to try to apply them in her coaching practice. The result of the collaboration between Casey and Kinder Associates is Mindfully ADHD. Eric cites a recent cover story from Attention Magazine about the challenges of acting normal. Acting as someone “normal” day-after-day is exhausting; it depletes your cognitive and physical resources. Understanding the strain of a high-intensity job that doesn’t match well with one’s personality, Casey has perspective that helps her relate to her clients. Casey does not have ADHD herself. She muses over why she ended up choosing to work with those with ADHD, as opposed to any other field of mental health coaching. 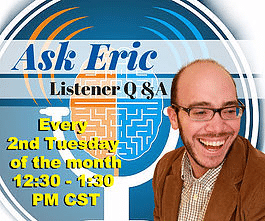 Some people say they “love” their ADHD; Eric wonders if that may be some part of a defense mechanism. Over-simplifying ADHD to only say it makes one more resilient or creative does a disservice to those who wake up each day and struggle to self-regulate. On the other hand, because those with ADHD may frequently meet and conjugate with others who do, ADHD could be seen as a gift for how it brings certain people together. Combine that with the lack of inhibitions that may lead to creative output and the mandatory resiliency of those who successfully manage themselves throughout the day, and it can appear to be a positive condition. Casey emphasizes that it’s nonetheless more complicated than that. After ten years of teaching and coaching those with ADHD, Casey has realized that beyond simply teaching time management, productivity strategies, habit-building, and more, it was important for her to help people to change their context to better match their true selves. For Casey, changing her context meant giving up her head of school job in pursuit of becoming an ADHD coach. When one’s life is bogged down and out of control, it’s like riding a giant theme-park roller coaster. With treatment, coaching, medication, mindfulness, good habits, and sleep, one will end up on a smaller roller coaster; they never distinctly leave. Acceptance is essential for those who deal with ADHD; it’s a life-long ordeal. Leading others to believe that their path to personal success will be simple or linear in its journey can do more harm than good. Eric is reminded of the concept of a fixed mindset vs. a growth mindset in Carol Dweck’s book Mindset; if people have a mindset of growth and taking on life’s challenges in a rewarding way, they’re better prepared to move toward their goals and forward with their lives. Listening to podcasts, talking with coaches, and visiting conferences can all help people pull themselves out of the “swamp” holding them back from a more expansive mindset. Emotional regulation can sometimes obstruct implementation of most other strategies. Casey references Thomas Brown’s book Smart but Stuck. 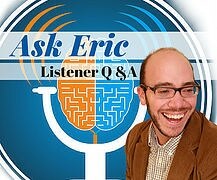 Since graduate school, Eric has dabbled in mindful meditation off-and-on for periods at a time. Recently, while trying to return to mindful meditation practice, Eric will feel bombarded by thoughts of his to-do list. Casey: The goal is not to empty your mind. It’s called “mind-full-ness”, not “mind-empty-ness”. The more one fights against their thoughts, the more they will come barging in. Noticing your thoughts and choosing how to direct your attention in that moment is the key – it exercises that attention muscle in your brain. Casey also notes that not all mindfulness practices require sitting still and that they don’t have to last for a particularly long time. Like exercise, mindfulness-based meditation is hard to begin, but becomes easier as one builds their mental strength. Eric focuses on physical bodily sensations as a way to orient his mind into a meditation state and quiet the other voices concerning his to-do lists and other thoughts. Paying attention to specific sounds in the room, one’s body in space, feet on the floor, etc. can help to remove internal judgmental voices. 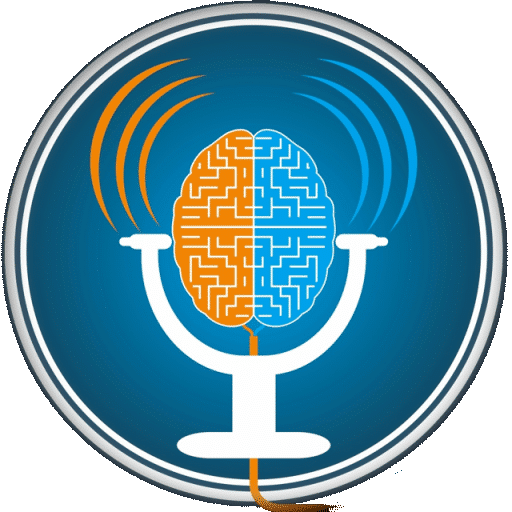 Eric meditated right before meeting with a client and felt, as a result, he was better able to control the pace of their discussion and be more productive with their time. A lot of the content on Casey’s Mindfully ADHD site are between one and three minutes. Casey was surprised when Eric said he meditated for twenty minutes. Results from a number of research studies that showed mindful meditation was feasible and produced results were obtained by having participants meditate mindfully for five minutes and later sometime extending to up to fifteen minutes. After an eight-week period, about 80% of participants in one study reported an improvement in ADHD symptoms overall. One client of Casey’s had researched transcendental meditation and had it in her mind that she needed a 45-minute practice. Because she couldn’t schedule in that time, Casey’s client gave up on mindfulness altogether. Casey likens longer meditations to exercising for other mindful meditations so as to not be unused to the practice beforehand. Meditation is there to help improve one’s overall mindfulness in their daily life at any particular point. Small mindful awareness practices can help when time is a factor and extra mental preparation is needed. Taking a group of deep breaths prior to a stressful situation (like a meeting) can help prepare for that stress. For the smaller mindful awareness practices, it’s often useful for those with ADHD to develop a cue to help them with the mental shift. One of Casey’s clients used dishwashing as a cue; by hand-washing the dishes, she could ground herself and focus her attention and mindfulness. Part of the point of Casey’s new website, Mindfully ADHD, is to have her and Kinder Associates’ Wynne Kinder work as a team to research completely what works and provide it in an easily digestible format. With those with ADHD, sometimes being asked to add mindful meditation into their daily lives can be a large burden. Mindfully ADHD seeks to lower the barrier of entry as much as possible. The site is a subscription and membership model partially so that users don’t have to deal with distracting advertising. Casey has constructed her own fusion mindfulness practice consisting of a combination of yoga, physical therapy, and other mindful methods. Partially due to certain chronic pain issues, Casey uses a kneeling bench to sit on when she meditates. Now, because she has meditated so often on it, just the act of sitting on the bench helps her focus on the present and on the mindful thoughts. Self-affirmative words and phrases can also help ground people into a more settled, mindful mentality: Casey uses “I feel like a mountain” when she feels mentally ungrounded and sporadic. Properly controlling one’s breath can help greatly to reduce symptoms of anxiety. Casey brought some of the breathing techniques learned through her yoga experience into her meditations.